Legrand's 430-4593-LEG Quad Small Form Factor Pluggable (QSFP+) transceivers are compatible with the Small Form Factor Pluggable Multi-Sourcing Agreement (MSA). 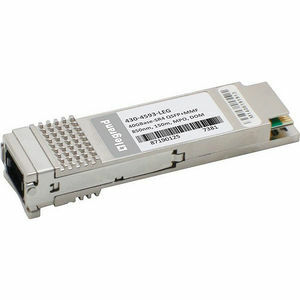 The QSFP+ transceivers are high performance, cost effective modules supporting 40 Gigabit Ethernet and up to 150m transmission distance with MMF. Legrand's QSFP+ transceivers are RoHS compliant and lead-free.